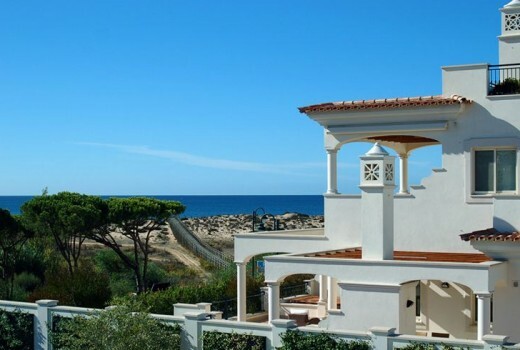 Listed here is a classic 4 bedroom villa, with beautiful front sea views of the golf course in the Vila Sol Resort of Vilamoura. Entering the villa through a double-height entrance hall, you gain access to the ground floor, which includes a living room with bar, TV area, fully equipped kitchen, dining room, and cloakroom. Also on this floor are two of the four bedrooms, including a double bedroom with en-suite bath and another double bedroom with an adjacent bath. The upstairs level reveals two expansive bedroom suites boasting built in vanity tables and sharing a terrace which overlooks the spacious patios and golf course. On the basement level there is a double garage, adjacent laundry room, bathroom, storage room, and an office that could potentially serve as a fifth bedroom. 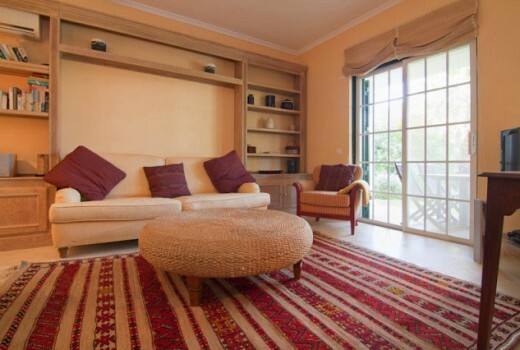 This beautiful property overlooks the Vila Sol Golf course, and offers plenty of parking space both inside and outside the property. The spacious patios at the rear face east, also overlooking the golf course. At house level there is plenty of room for outdoor dining, grilling and lounging at the bar. A few steps lower and you reach the pool level, offering a stunning sunbathing and swimming spot, all while watching the golfing talent on the nearby golf course.